Shake it out is a variation of the piece My own Bodies All stars but more, bigger and even more including. 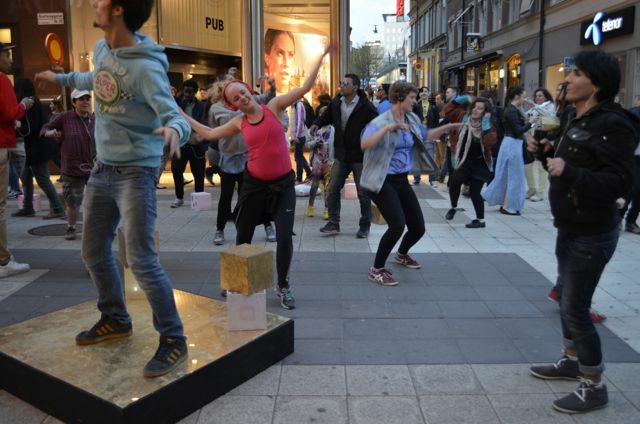 In Shake it out amateurs and professionals claim the public space with their body. Shaking for equality, against rasism and sexsisem. Shake it out also invite new bodies in to the a space design for contemporary dance at Dansens Hus in the center of Stockholm.